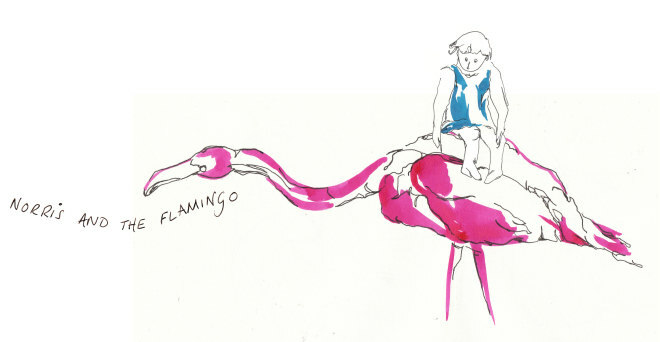 Norris and the Flamingo: Hoopla? Funded by a little pot of Islington Council money aimed to encourage environment awareness, the Urban Craft Club this term went on a recycling binge. 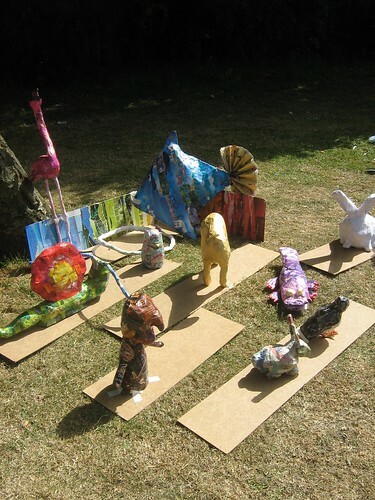 And our final project, a papier mache hoopla display for the Rowan Arts Big Day Out, was gloriously colourful, eccentric and well, dare I say it, genuinely brilliant - we had a wonderful time challenging visitors to throw the hoop over the snail antennae and the duck-billed platypus!